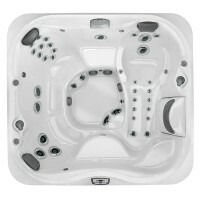 Designed to deliver a relaxing, yet stimulating massage, the Jacuzzi® J-335™ hot tub features enough seating for five to six adults. 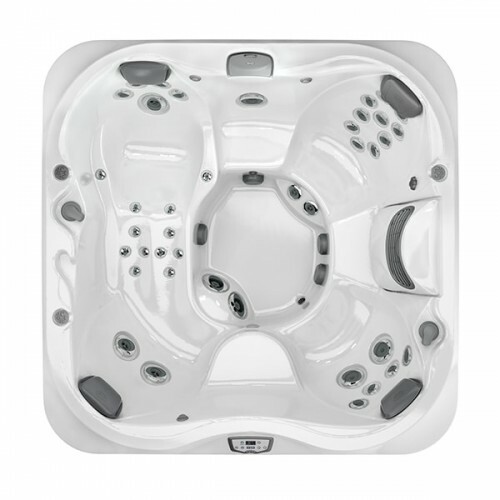 This portable hot tub is made for lounging with its 84-inch square by 36-inch deep body, ProAir™ Lounge Seat, built-in waterfall and the FX10 Therapy Seat. No matter what your aches and pains, there's a position in the J-335™ that’s sure to soothe them. To top it all off, the enhanced LED ProLites System illuminates your J-335™ footwell, pillows, and even your cup holders as you relax to the sights, sounds and sensation of the Water Rainbow® waterfall. That is an all-encompassing hot tub therapy experience you’ll never get tired of. 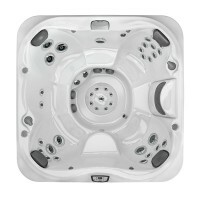 Jets can be adjusted to isolate pain and tension to ease and relax, offering complete back coverage. Utilizes PowerPro® Jets to stimulate surrounding tissue and release muscle knots with spiraling, pulsating jets in the mid back. Smaller muscle groups behind the calves knead and relax strained legs. Fully-adjustable total body relief that eases tension, from small, targeted jets to large, wide-swath rotational jets. And, exclusive BX jets comfort and rejuvenate calf muscles.